WASHINGTON -- U.S. Army bomb squad Soldiers disposed of a cannon ball that was found in a Georgetown townhouse's chimney here Jan. 21. Soldiers from the 55th Explosive Ordnance Disposal (EOD) Company responded to the unexploded ordnance discovery at the 1890s townhouse in this historic neighbor in the nation's capital. The homeowner found the cannon ball while repairing his chimney. 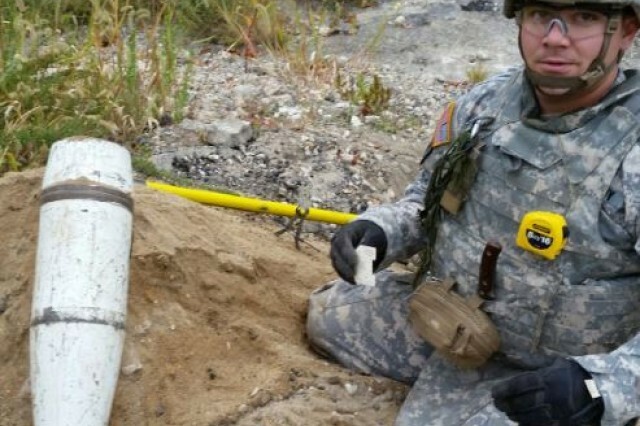 Once law enforcement officials and firefighters determined that it was a military munition, the U.S. Army bomb squad got called in. 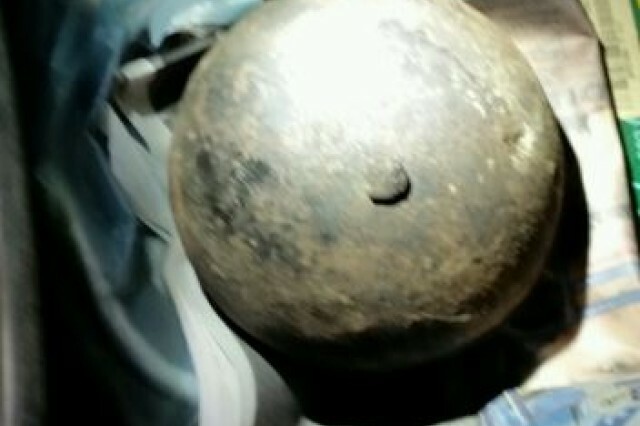 "It was a Civil War cannon ball," said Staff Sgt. Dewon Crumpton, the team leader who retrieved the cannon ball from the townhouse. An Iraq War veteran from Ocala, Florida, Crumpton said his EOD team disposed of the cannon ball at Fort A.P. Hill, Virginia. Crumpton said the cannon ball was not the most unusual unexploded ordnance call he had received. 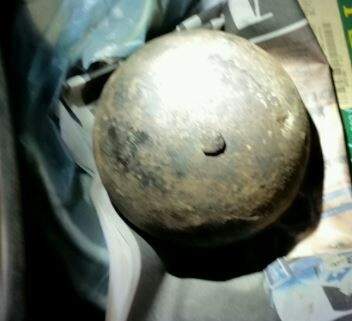 He previously rendered safe two artillery rounds that were found in a garage in Virginia. Capt. 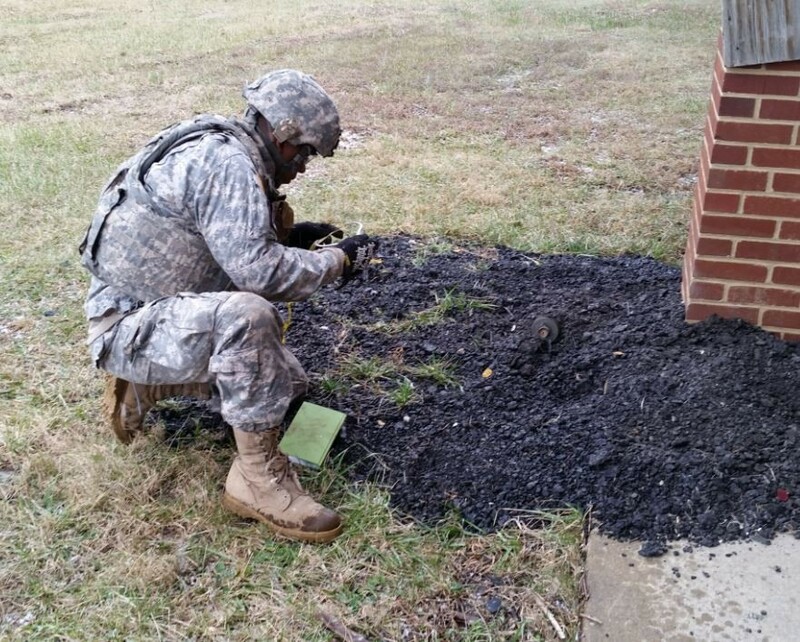 David Watkins, commander of the 55th EOD Company, said his company responds to unexploded military munitions in the national capital region and the states of Virginia, West Virginia, Pennsylvania and Maryland. "We have a good relationship with all of the Federal, state and local law enforcement agencies in the national capital region," said Watkins, an Afghanistan War veteran from Atlanta. The Fort Belvoir, Virginia-based 55th EOD Company is part of the 192nd EOD Battalion, 52nd EOD Group, 20th CBRNE Command (Chemical, Biological, Radiological, Nuclear, Explosives), the U.S. Defense Department's only formation that combats chemical, biological, radiological, nuclear and explosive threats around the world. Command Sgt. 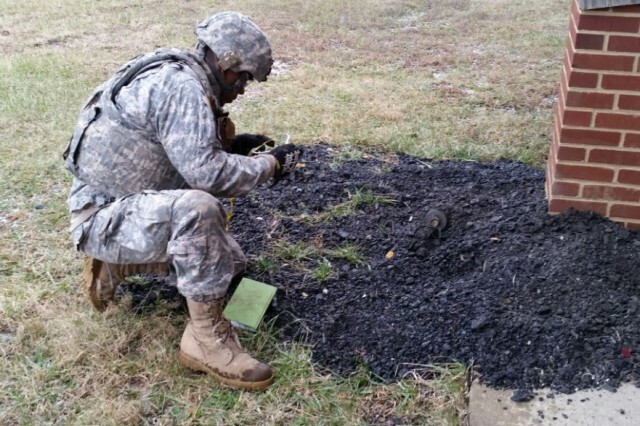 Maj. Harold E. Dunn IV, the senior enlisted leader of the Aberdeen Proving Ground, Maryland-based 20th CBRNE Command, said Army EOD technicians regularly respond to unexploded ordnance calls. In 2014, EOD Soldiers conducted more than 2,000 explosive mitigation missions around the nation, both on and off military installations. 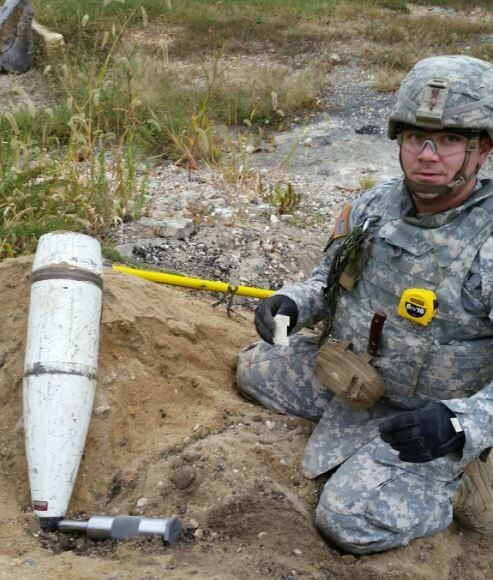 A seasoned EOD leader from Fredericksburg, Virginia, Dunn said unexploded ordnance (UXO) can be found anywhere. "You name it," said Dunn. "Mantles in homes, basements, scrap yards, trash cans, dumps, offices, garages and on desks." After years of defusing explosive devices around the world, the command sergeant major said unexploded ordnance was best left in the hands of the professionals. "If you find UXO, stay away from it and notify your local authorities," said Dunn.